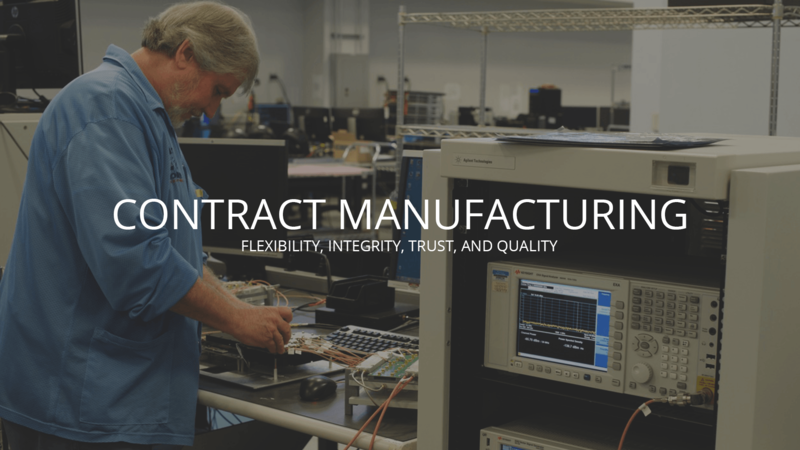 WORLD electronics offers a wide variety of contract manufacturing services, ranging from early stage product design to complex large system integration and assembly. WORLD’s many years of experience allow us to tackle the most technically complex manufacturing needs. We are just as capable assisting at the early concept/design phase and prototype stage as we are in assisting with true volume builds. In addition, our vertical integration and supply chain management solutions mean that our customers reduce their risk, knowing that we source our components for both quality and price. WORLD electronics specializes in providing Concept to Commercialization services for clients of any size: entrepreneurs, Fortune 500 companies and all segments in between. Over the course of our history, WORLD has earned a reputation for flexibility, integrity, trust, and quality. We have enjoyed success because of our constant focus on our customers’ ROI. WORLD will provide the necessary support for your product in its market and looks forward to building a strong partnership with your company. WORLD electronics is a flexible, customer focused manufacturer of high quality printed circuit board assemblies of various volumes, mixes, and complexities. We have decades of experience working with clients in industries including communications, networking, medical, defense, industrial control and alternative energy industries…ranging in size from start-ups to Fortune 500 companies. We are capable of quick turn prototypes and volume production for both small, very dense RF modules and very complex through-hole and SMT assemblies. At WORLD, we have a full and permanent staff of engineers dedicated solely to PCB assembly. As part of our service, our staff provides design-for-manufacturability and test (DFM/DFT) feedback, which we use to gradually improve manufacturing and test processes, improve uniformity and increase overall production yields. Our flexibility allows us to work with your existing approved vendor list (AVL) and bill of materials (BOM), or alternatively, we can provide you with a list of our most common vendors who we believe offer the best return on investment and highest quality. This helps ensure delivery of the best components at the right time-and at the right price point. In addition to the quality of our manufacturing process at every step, all our PCBAs are produced in a state-of-the-art production facility. Our production line includes best-in-class automated SMT placement, testing, and inspection equipment (X-ray, Automated Optical Inspection (AOI), and In-Circuit Testing (ICT)). We specialize in the production of through-hole double-sided SMT and mixed technology boards using the selective wave process. Our knowledgeable, experienced and well-trained assemblers complement our industry-best redundant, networked assembly lines. Since our equipment is configured for rapid change over and maximum flexibility, we are able to respond to customer pull-ins, move products easily between lines and accommodate both high volume and small runs. We can seamlessly process CAD data, create in-circuit programs, generate placement machine programs and develop test fixtures to validate the quality and functionality of all PCBA’s to meet or exceed our customers expectations. We use a rigorous first piece process and our highly skilled team monitors each build to ensure the best quality for our customers. WORLD electronics is fully equipped and staffed to provide engineering test services validating computer control systems, power delivery distribution, and precise mechanical operations. WORLD is prepared to utilize customer provided test fixtures, custom, and commercial, or we can assist you with the design, engineering, and manufacturing of specialized test equipment complemented with comprehensive testing plans and procedural documentation. Additionally, WORLD has extensive National Instruments and Lab View development capabilities to meet any custom requirement. WORLD’s testing process utilizes a variety of methods which ensure complete compliance and usability. Our PCBA facility is set up to test with state-of-the-art equipment. The PCBA assemblies that we produce are tested using methods such as AOI Inspection, In-Circuit testing, and X-Ray inspection. Throughout the manufacturing process, WORLD’s focuses on adherence to both J-STD-001 and IPC-610 standards. To ensure the highest quality, WORLD provides functional testing and in-circuit testing (ICT) services. Our test technicians are highly skilled, well-trained and will assemble and inspect to IPC-610 and J-STD-001 standards. In addition to being certified and audited to J-STD-001 and IPC-610 standards, we also adhere to ISO 9001:9008. Once a PCBA is fitted with all necessary components and passed through the SMT assembly line, it is verified for compliance with customer CAD data using an AOI machine. Boards with bottom terminated components will go through x-ray inspection to ensure part-placement accuracy. Each assembly may then be subjected to in-circuit testing and/or functionally tested to customer specifications by a dedicated staff of test technicians. The functional test stands used in the above process can be as simple as a set of electronic measuring devices on a workbench or as complex as a six-foot, rack-mounted, integrated testing system. Our clients are welcome to provide their own functional test equipment, but rest assured that WORLD’s engineering staff has full capabilities to design and build customized functional testing systems. Our experienced engineering team processes CAD data and partners with a highly capable test development firm to create in-circuit programs and develop test fixtures and procedures. WORLD confirms that the quality of all printed circuit board assemblies is in accordance with the customers’ expectations. All PCBA testing and inspections are performed by experienced associates and are individually marked and recorded for accurate traceability.